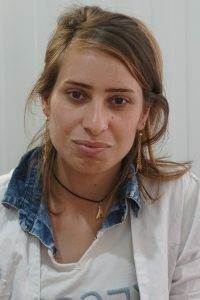 Amal, a 20-year-old Yazidi woman, is from the south of Sinjar region. 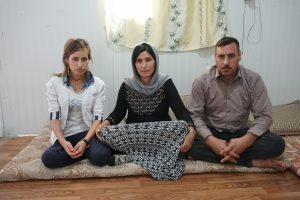 She shared the same destiny as many other people of her ethnic group when ISIS invaded their region, fleeing to Sinjar mountain where they were trapped by ISIS for multiple days. 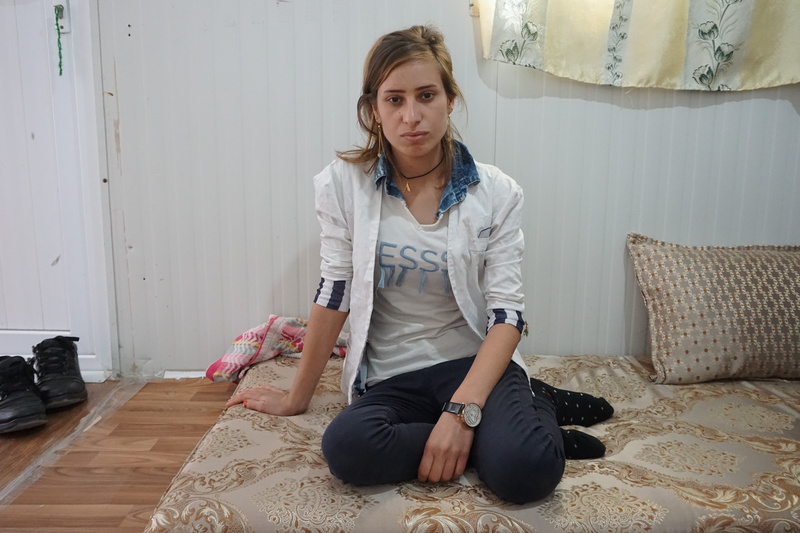 Amal eventually escaped through the Syrian border and started a new life in Iraqi Kurdistan. Her family was temporarily living in an uncompleted building until they moved to an IDP camp. Before displacement, Amal was visiting a school that she really enjoyed attending. Unfortunately, she lost some years of school and she was not able to continue her education in the IDP camp school. Moreover, she was suffering from a chronic pulmonary disease, causing her frequent inflammations. Pollution of the air, with kerosene heaters during the winter and dust storms in the summer were worsening her health condition causing her to have difficulties breathing. Due to frequent infections, part of Amal’s lungs was not functioning properly and was the source of recurrent inflammations. After many antibiotic courses, her specialist decided for the final treatment to remove the damaged part of the lungs by surgery. With no regular income, the operation was not affordable for her family. With the precious help of the French Association for the Aid of Youths with Disabilities and People with Handicaps (Association pour l’Aide aux Jeunes Infirmes et aux Personnes handicapées), Amal successfully underwent a surgery. We hope that now she will be able to follow her wish to return to her hometown and continue her education.